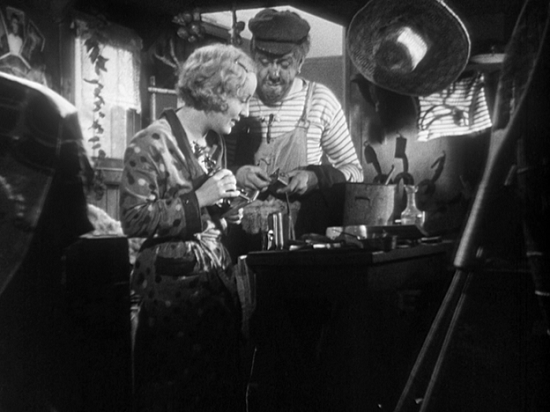 Jean Vigo's 1934 work "L'Atalante" has a timeless quality about it. It is the most acclaimed (and sentimental) film in Jean Vigo's short career. 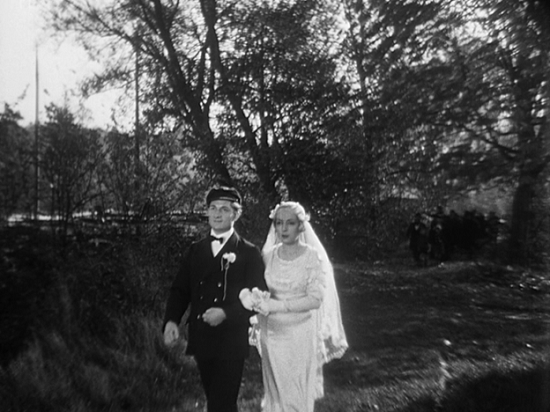 The sheer transcendental beauty and ease of Jean Vigo's great film from 1934 is a perennial tonic for any film fan. There aren't many classics that are as deceptively simple as "L'Atalante". It combines his surrealist's flair for daring compositions and juxtapositions with an intuitive eye for detail and a miraculous gift for telling a tender and passionate love story. Bridging the gap between 1920s surrealism and 1930s poetic realism, L’Atalante has a delicate simplicity rarely seen in modern cinema. Juliette, who has lived her entire life in a small provincial French town, has just married Jean, a river barge captain. L'Atalante is the name of the barge owned by Jean (Jean Daste). Set on a grubby barge traversing the canals of Northern France, it stars Jean Dasté and Dita Parlo as Jean and Juliette – a sea captain and his new wife – who, innocent, inexperienced and barely knowing each other, are embarking tentatively on their married life, accompanied by drunken barge-hand Père Jules, a cabin boy and innumerable cats. The arrival of a woman on board disrupts the small crew, but they do their best to make her welcome. As the boat chugs along the Seine, Vigo tracks the clumsiness, the ecstasies, the anxieties and tenderness of a very human love affair, without once having recourse to high flown rhetoric or melodrama. Instead, the awkward pleasures of a wedding night, Juliette’s irritation at being cooped up, Jean’s jealous rages, the lovers’ separation and eventual rapprochement are all captured with a masterful lightness of touch, rendered against the claustrophobia of the barge, the bright lights of Paris and the quizzical gaze of le Père Jules, who, with a belly full of wine and a kitten on his shoulder, works to reunite the couple in the end. Most of the conflict on the barge stems from Jean who flies into a jealous rage, smashing plates and sending cats scattering every which way, when he discovers Juliette and first mate Jules (Michel Simon), an obsessive cat lover, talking in the latter's quarters. Elderly Jules, who keeps company with his menagerie of stray cats, is seemingly a little off kilter. He has traveled the world as a seaman, with his cabin filled with curio that he has picked up from these travels. On the opposite extreme is Juliette, who has seen nothing of the world and with wide eyes is looking forward to the new adventures in exotic locales - at least to her - with Jean. Juliette's arrival onto the Atalante disrupts the routine of the other three, who are used to living a bachelor styled life. But the interactions between the four and their individual wants - especially Jean, Juliette and Jules - affects the harmony aboard the Atalante. The solitude and boredom soon take their toll on Juliette, so Jean brings her ashore for a night at a cafe in Paris. Arriving in Paris, Jean and Juliette go to a music club. There they meet a street peddler who flirts with Juliette and asks her to run off with him. This leads to a scuffle with Jean. Growing disaffected with barge life and enamored with the lights of Paris, Juliette runs off. Jean, furious, casts off, leaving her behind. He slips into a near-catatonic depression. Jules tries to revive him by repairing the boat's phonograph to no avail. Meanwhile, Juliette wanders the mainland looking for work and diversion. Instead she only finds dark streets and crime. Meanwhile, Jean comes to regret his decision, slipping into depression. He is summoned by his company's manager, but Jules manages to keep him from losing his job. To the surprise of his crew, Jean first dunks his head in a bucket of water, and then jumps into the river, recalling a folk tale Juliette had told him: that one can see the face of one's true love in the water. Jules see hallucinatory visions of Juliette under the water. After Jean jumps into the river and is rescued by his shipmates, Jules decides to find Juliette. He returns her to the L'Atalante. The couple is happily reunited. This is a film about the most prosaic of subjects, yet one that sings with the poetry of human truth, playing on tiny details that speak volumes more than the most grandiose dialogue. Jean and Juliette are a lowly pair, country folk bowled over by their desperate love for each other, and this desperation is shown in petty squabbles, stubbornness and impotent rages rather than verbose speeches. When his young wife runs off to see Paris, Jean calls her bluff and sets sail for Le Havre, leaving her to fend for herself. 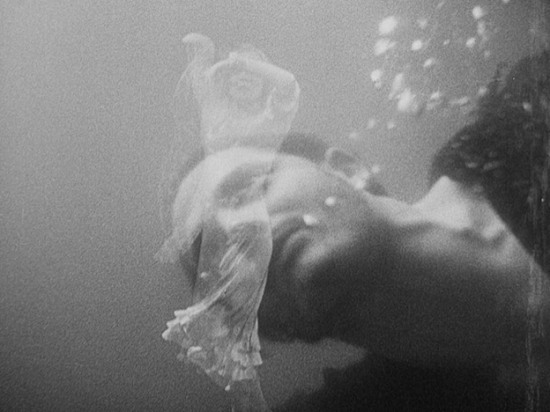 Rage cooled, their mutual agonies of separation are exquisitely portrayed: in a dreamlike underwater scene mentioned earlier, a miserable Jean sees his wife’s figure swirling before his eyes, and, in a sequence of breathless eroticism, Vigo runs parallel shots of Jean and Juliette each dreaming of the other in their separate beds. This provincial pair is raised to the sublime by the purity of their feelings and actions, irrespective of their modest surroundings. At the end when, reunited, they fall to the floor in a joyous clumsy embrace, it is a timeless reminder that the picturesque Hollywood ending is not as romantic as a truthful, heartfelt depiction of what people really do. It is remarkable Jean Vigo's achievement that he takes two such commonplace characters and makes them worth caring about, and by implication he tells us that we are all worth caring about, even if we and our lives may not matter much to others.